Home/Energy Efficiency, Glare, Home Window Tinting, Residential Image Gallery, Residential Window Film, Sunscreens, Window Tinting/What are the differences between Shade Screens and Window Film? This is a great question and one that gets asked frequently. 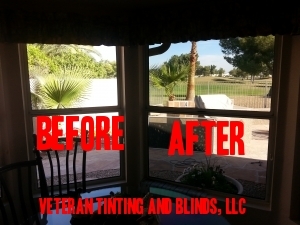 At Veteran Tinting and Blinds our overall goal is to ensure our customers get what they need in terms of heat rejection, privacy, glare, and fade protection. Some people like window film, some like shade screens, and some use both. When helping our customers make a choice, we educate them on the differences between the two items. We base our information on fact, not opinion. When you click the link below you will see factual information between Eastman (LLumar, Vista, and EnerLogic Window Film) vs Phifer Sun Screens. Included is also the return on investment (ROI) for window film – I was unable to locate the ROI for Shade Screens. Shade screens allow daytime privacy as seen in the pictures above. In fact, you cannot see the glass at all. 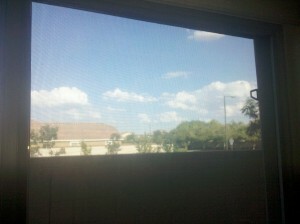 The picture on the right shows the view one would have looking outside of their home when a shade screen is installed. The screens above are 90%. Window Films have a different appearance than shade screens from both the inside and the outside. Both of these products are LLumar DR15. That all depends on your preferences. 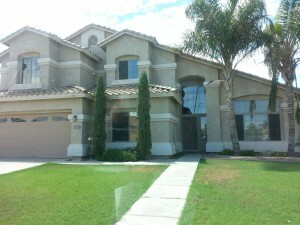 Some people like shade screens, or that is only what their HOA allows, and some like window film. Education is key and understanding the differences of the products is important in your decision making. If you are interested in learning more about the differences, please contact us. We will discuss both options for you to determine the best choice for YOU!